1. Qt Serial interface with an Arduino that can transfer data upto 115200 kbps with rudimentary error checking. 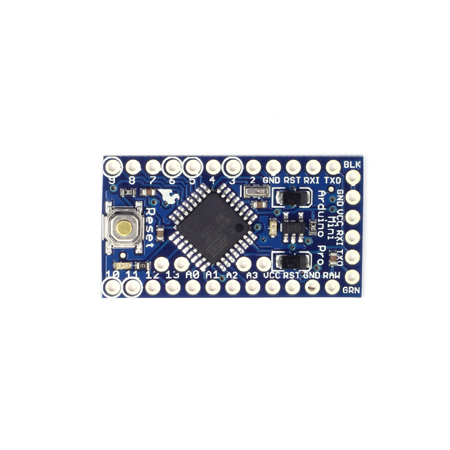 Source code (arduinotalker.cpp and arduinotalker.h) available here. 2. Custom PCB using a Arduino Pro Mini as a 6 servo controller. Circuit Diagram available (pro_mini_6_Servo_controller.fzz) here. 3. 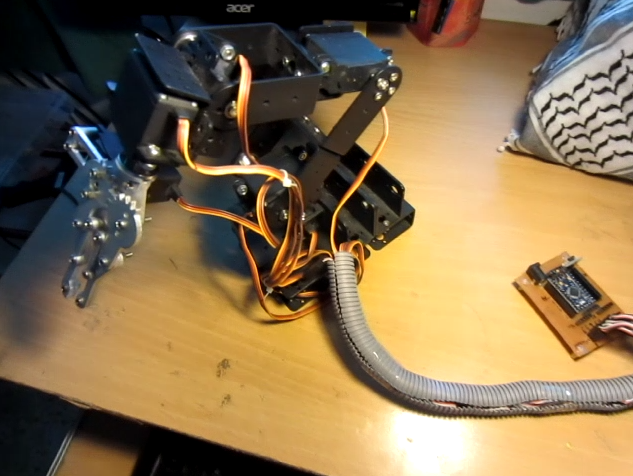 6 DOF Robot Arm powered with a 6V 5A DC external power regulator. After building my 6 DOF robot arm, I needed a way to control it through the PC using a Qt graphical interface. Having already developed my Qt-Arduino interfacing class, I decided to up the complexity of the project by using an Arduino Pro Mini, instead of an Arduino UNO. For the last two weeks I’ve been trying to get my head around quaternions. More specifically I need to learn how to manipulate them in a 3D environment. Its at times like this that I wish I had paid more attention to maths in school. Sigh!! Anyway, on Sunday I decided to take a break from vector rotations, gimbal locks, matrices etc etc and got to work on an old project that I had put on hold. Arts and crafts is not really something that I do very often, or am good at, but on this occasion it turned out quite nicely. While there’s nothing really new here…its all very basic stuff, no fancy algorithms, just a little bit of work with the hands, some glue and a teensy bit of imagination. The results are quite entertaining, far from perfect, but a nice little project for a Sunday afternoon. Take a look….